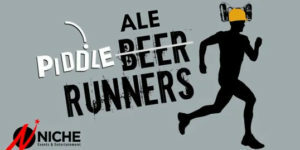 A very busy summer on the Road Running scene with more members doing more competitions and achieving excellent results. 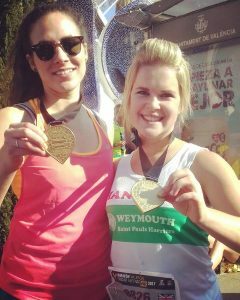 Since June 7 members have run a total of 14 marathons with Jess Marshall and Hannah Martyn recording good PBs in Valencia. Phil Haddrell & Mark Humphreys tackled the distance for the first time. 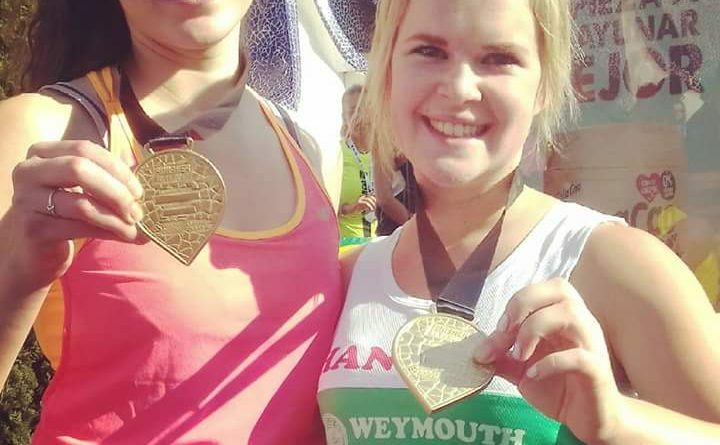 Half marathons have been popular and we put out our biggest contingent in the Weymouth 10 for several years and were well represented in many races over the 10K distance. Cat Saggerson and Phil Haddrell both recorded over 1,000 miles of running in 2017. Off road races are becoming popular and we have taken part in several of these events, both as individuals and Teams, enjoying the sociable atmosphere at these running festivals. Also we have had several members branching out into Triathlon over varying distances which is an encouraging development. 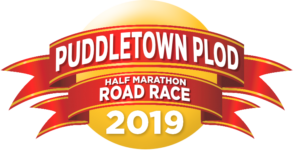 Two members, Susan O’Flanagan and Phil Haddrell gained the Dorset Road Race League Fidelity Award which takes in 12 races over a variety of distances from 5 miles to Marathon. Well done to both. They also gained DRRL awards as Top in Club within the league. Brodie Asker won his age group category as did Holly O’Flanagan hers and Pete Clarke was 1st in the 70-74 group. Awards were presented after the Broadstone 1/4 Marathon on new Year’s Day. 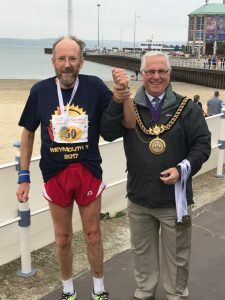 Pete Clarke was honoured by a presentation from the Mayor before the Weymouth 10 which was his 50th running of the event and the organisers awarded him a personalised T-shirt to mark the event. Parkrun continues to be well supported by our members of all ages. 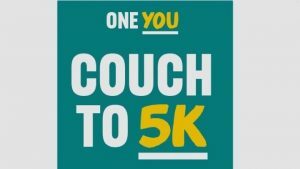 Phil & Susan have organised two Couch to 5K courses which culminated with the graduates doing Weymouth Parkrun and being presented with medals/certificates. Kevin Archer was 1st in his Age group in the Westminster Road Mile and 2nd in the GB Masters Road Mile as well as recording some good performances in an injury-troubled season at National & International Master’s track competitions. 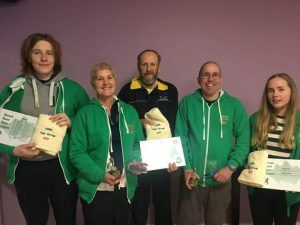 Gareth Manning retained his National Title in the Modern Biathlon in November when he achieved best run & best swim and also helped the Southwest Team win the Team prize for the second year running. Go to our FaceBook page, hit the ‘like’ button, to stay updated with clubs news. Our club relies on the voluntary support, from helpers at training sessions to our committee members. We also value support from local businesses and organisations, who sponsor the club through funds, materials or expertise. If you think you can help WSPH & AC in any way, please contact us! For full contact details please click here.